Novruz – or Novruz Bayramy in Azeri – along with New Year and a religious Ramazan holiday is one of the major and the most favorite holiday of Azerbaijan. Although celebrated in Islamic countries, Novruz is not a religious holiday actually being the celebration of the vernal equinox and the symbolic renewal of nature. According to scholars, it originates from the Ancient Mesopotamia. In Babylon New Year was celebrated the 21st day of Nissanu (correspondent to March and April) with festivities held further 12 days, each commemorated with individual rites, amusements and performances. 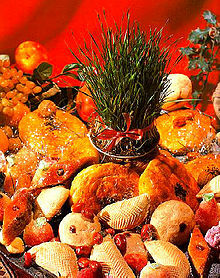 Novruz is certain to have been celebrated in pre-Islamic times and later. During the Soviet period it was given unofficial status and even persecuted. 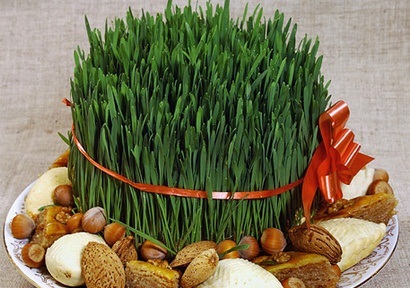 Novruz is associated with spring, start of agricultural activities, renewal of nature and warm days. This period being of great importance it caused many traditions and rites associated with magic, the cult of nature and earth, and belief in the perishing and reviving nature etc. Virtually, celebrations began four weeks before the actual day of festivity. These four weeks – or, exactly four Wednesdays – were each devoted to one of the four elements and called correspondingly, although names varied from location to location. They were: Su Charhshanba (Water Wednesday), Odlu Charhshanba (Flame Wednesday), Torpaq Charhshanba (Earth Wednesday), Akhir Charhshanba (Last Wednesday). 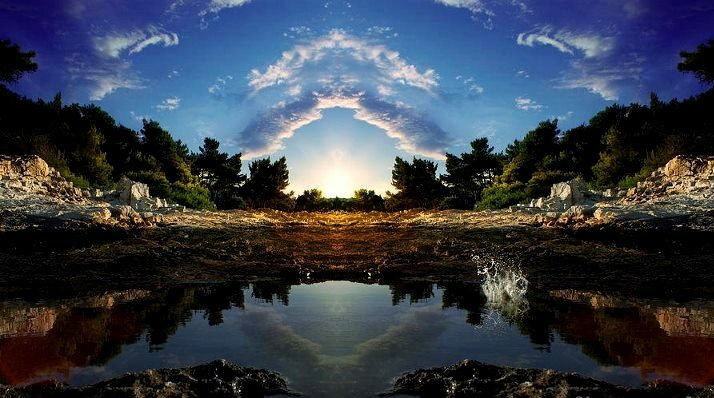 According to folk beliefs, on Water Wednesday ‘water renewed and dead-water came to stir’; the Flame Wednesday was believed the day of fire rebirth; on Earth Wednesday the earth revived. On the Last Wednesday the wind opened tree buds and spring arrived. Another interesting version of the “four Wednesdays” existed in Shirvan area of Azerbaijan. They were devoted: the first Wednesday to air, the second one – to water, the third to the earth, and the fourth one – to trees (plants). It meant: on first Wednesday air warms, water on the second, the third week means the earth to wake, the fourth one stands for trees and plants to revivify. The most important of the Wednesdays was the Akhir Charhshanba (Last Wednesday before the vernal equinox) and most of important rites and ceremonies were delivered that day which concerned all the aspects of human life. Those rites were intended to provide welfare for an individual, his family and the community in general, to get rid of the old year’s troubles and to avert a calamity. First of these essential traditions was the concoction of a ritual food named Samani (malt) which epitomized fertility of nature and the human race. We are now almost at the end of the sacred month of Dhul-Qi’dah, one of the four sacred months. In a day or two, it will be the beginning of the sacred month of Zulhijjah. 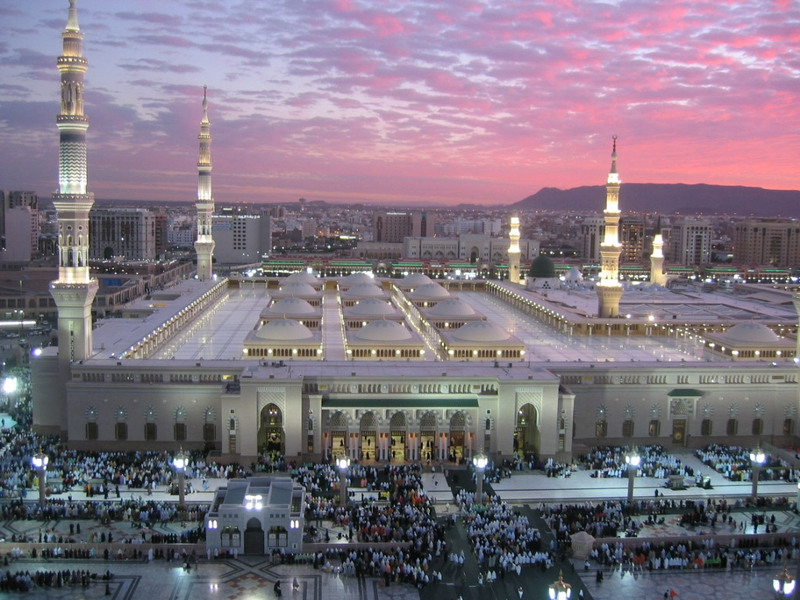 About the Month of Zul-Hijjah: – The fifth pillar of Islam “Hajj” is performed in this sacred month. The first ten days of Zul-Hijjah are the most virtuous days in this whole month, Hajj is performed amongst these ten days. “There are no days in which righteous deeds are more beloved to Allah than these ten days.” The people asked, “Not even Jihad for the sake of Allah?” He, Allah bless him and grant him peace, said, “Not even Jihad for the sake of Allah, except in the case of a man who went out to fight giving himself and his wealth up for the cause, and came back with nothing (Bukhari). 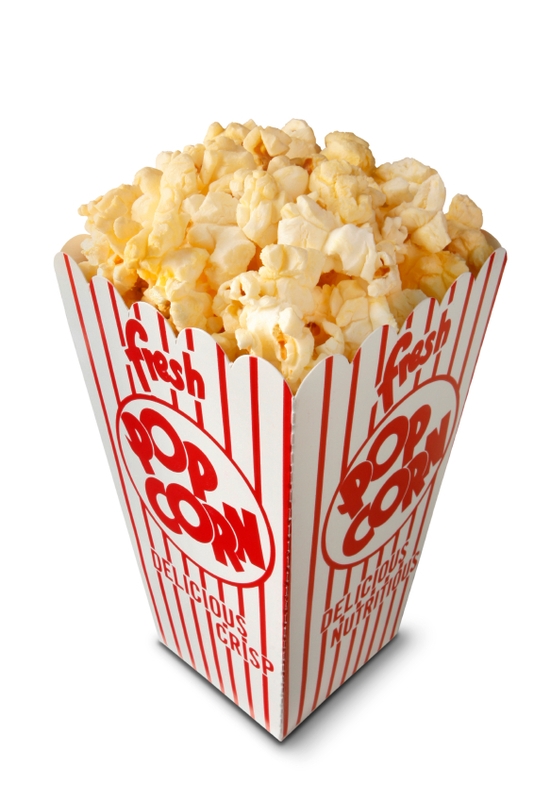 A federal court has awarded $7.2 million to a Colorado man for damages caused by the chemicals used in artificial butter flavoring of microwave popcorn. Wayne Watson was the first consumer diagnosed with the respiratory disease bronchiolitis obliterans, also called “popcorn lung” because it’s more commonly diagnosed in workers with long-term exposure to the chemical diacetyl during manufacturing. “I’ve lost roughly 50% of my lung capacity,” says Watson, who ate microwave popcorn about twice a day for 10 years until his diagnosis. “We won this case because the truth was on our side. ”The defendants, popcorn maker Gilster-Mary Lee Corporation, Kroger Co. and Dillon Companies are expected to appeal the decision. The problem is that the public doesn’t know what chemicals have now replaced diacetyl, or the effects of diacetyl in other products. The reality is that nobody knows what’s happening with these other products, because nobody is testing them. This morning i’ve discovered one simple recipe. 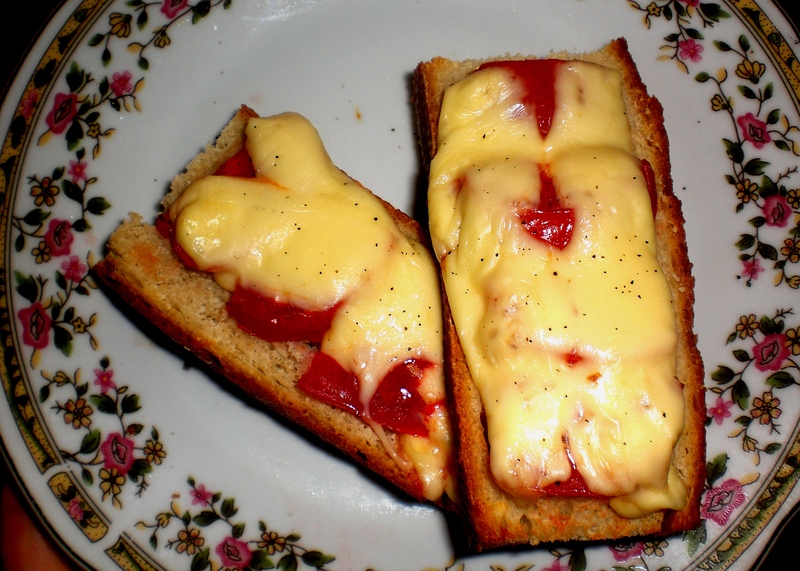 And after making it ready, i just wondered, how simple but delicious it was, recommended one ) Ingredients: slices of bread, holland cheese,tomato,spices.